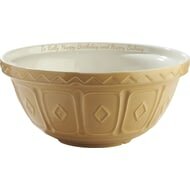 This traditional bowl is a staple of most kitchens, but we've added a personalised twist. 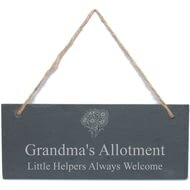 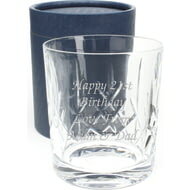 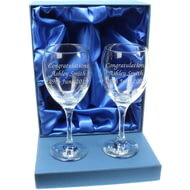 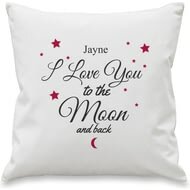 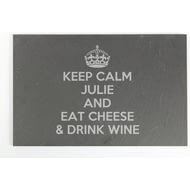 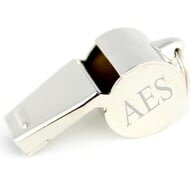 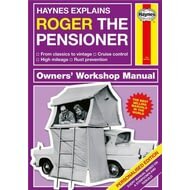 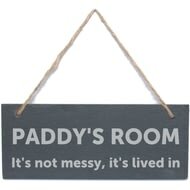 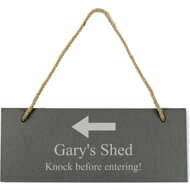 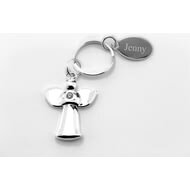 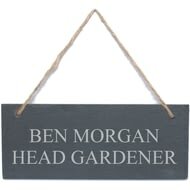 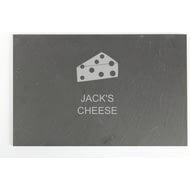 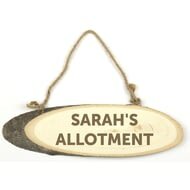 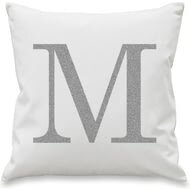 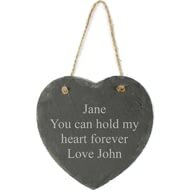 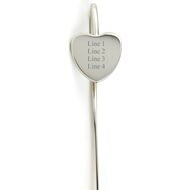 Can be personalised with up to 3 initials, please enter full stops between initials if required. 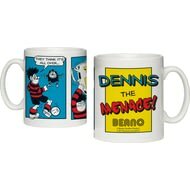 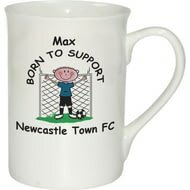 The footie fan you know will love this personalised mug. 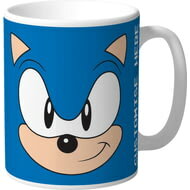 This official, fully licensed personalised Classic Sonic Face Mug is the ideal gift for any SEGA fan. 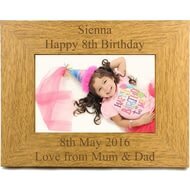 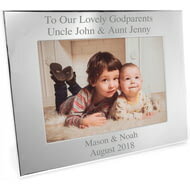 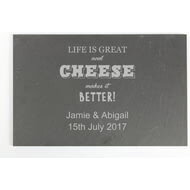 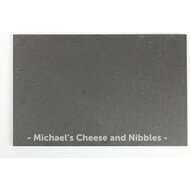 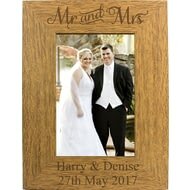 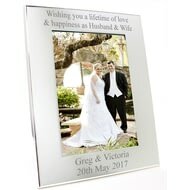 Personalise this photo box with your own special message over 4 lines of up to 25 characters per line. 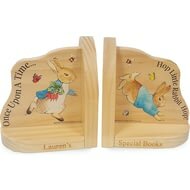 These adorable pair of Peter Rabbit bookends would make a beautiful addition to any room. 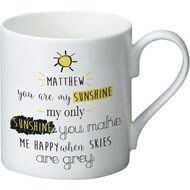 Add a message of up to 15 characters onto the base of each of the ends. 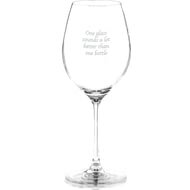 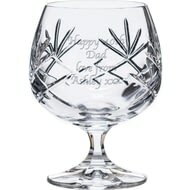 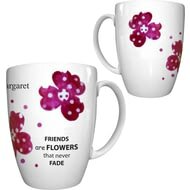 Personalise this lovely floral cup with any name of up to 15 characters on the inside lip. 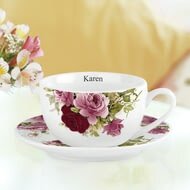 Complete with floral saucer for those cheeky biscuits. 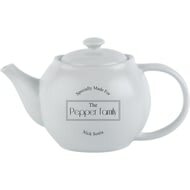 A chic and simple black and white design runs across one side of this beautifully made ceramic teapot, which we personalise by adding a family name of your choice. 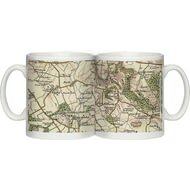 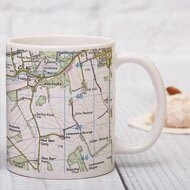 Give someone you know a blast from the past with this personalised map mug.